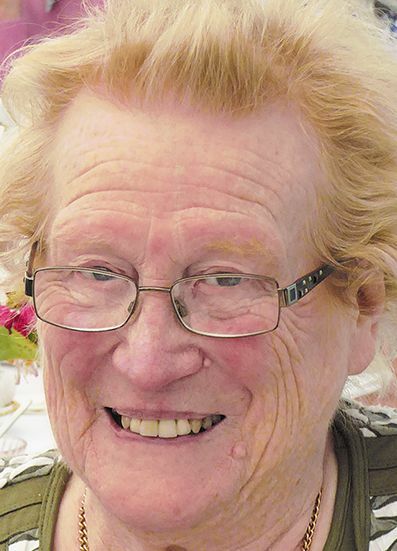 ON Wednesday, January 16, 2019, the members of 1st Presbyterian Non-Subscribing Church Downpatrick were saddened to learn of the passing of their loyal member, Mrs Mary Witherup (Renée) Cleland (née Speers). After a period of illness, Renée’s passing was peaceful and she was surrounded by her family. The service of thanksgiving was held on Friday, January 18, in Rathmullan Parish Church, which the Rev Dr David Steers, minister of 1st Presbyterian, said had been a family tradition with the church only a short distance from the family farm. Before calling the congregation to worship, Dr Steers acknowledged the use of the church, the assistance of the Rev Adrian Dorrian and the kind permission of Canon Cecil Wilson. Mr. William Murphy and the church officers were also thanked for their assistance. Rev Dorrian took the first lesson from Psalm 121, it being particularly appropriate to those who live in the shadow of the Mourne Mountains. Dr Steers responded with comforting prayers for the family and mourners and by reading the familiar words of John Ch 14. Mrs Cleland was born in Comber on June 26, 1934, the third of five children whose father was the town’s chemist. Renée married her future husband, Robert (Bobby), on March 6, March 1957, in 2nd Presbyterian Church, Comber. In his eulogy, Dr Steers reminded the gathering that Renée lost her husband almost 30 years ago in 1990, but she never faltered in her faith or duties to continue to support her children and to work on the family farm as she had done on marrying. Renée had been blessed with five children, twelve grandchildren, and three great-grandchildren. Her family were not only her love and pleasure, she was also extremely proud of all their achievements, witnessing the marriages of her children, the academic achievements, and work successes of the whole family. She enjoyed travel and on many occasions travelled to Switzerland to her daughter Eleanor, a trade officer in the British Embassy, and she was present when Eleanor received her MBE at Buckingham Palace. Dr Steers recalled some family anecdotes about Renée, which reminded the listeners of her positive spirit throughout her life. In addition, he remarked on Mrs Cleland’s continued contribution to the life of the church, including her 60 years of regular attendance, her work in the fund raising events and as a long-standing devoted member of the choir. Throughout her illness, Renée stayed positive in facing its challenges. Dr Steers recorded the family’s thanks and appreciation to Dr. Glenn, the nursing staff and all the carers who supported Renée, allowing her to be cared for at home. Dr Steers, in quoting from Tennyson, expressed the righteousness of love, which withstands all challenges and keeps our friends in our hearts. The organist of 1st Downpatrick, Alfie McClelland, also by invitation, accompanied the hymns, The Lord is My Shepherd and Abide with Me. Condolences were extended to Renée’s five children, Eleanor, Samuel, Margaret, Rosemary and Hamilton, their spouses and the entire family circle. The Rev Dorrian assisted Dr Steers with the interment.